Okay, so I’m a little late in posting this, BUT that doesn’t make it any less awesome! 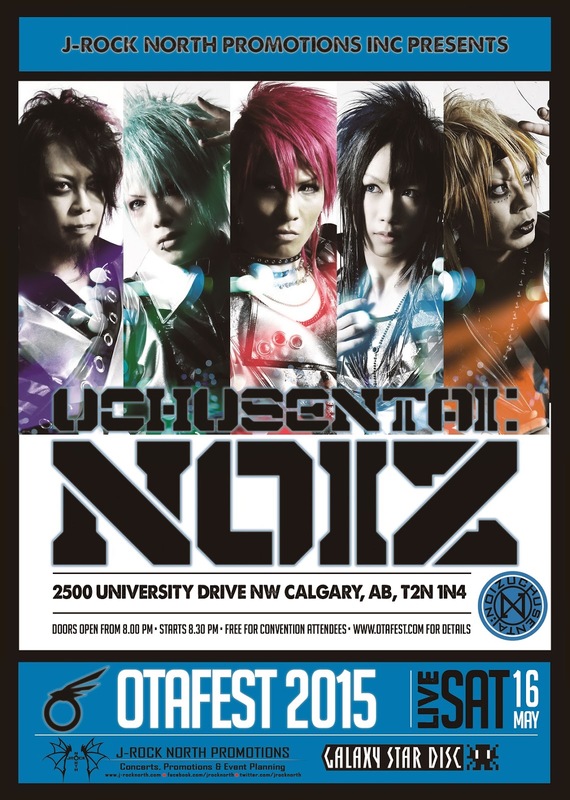 UchuSentai: NOIZ is making not one, but 2 landings here in Canada!! Right after they send Alberta to outer space with their performance at Otafest, they’ll be making their way to Anime North in Toronto. Now, Anime North is selling out fast, with only day passes left – so you’ll need to grab them ASAP!!! This is not a show to be missed. All the details are below. Be sure to click on the comment video too. I’ll see you there!! 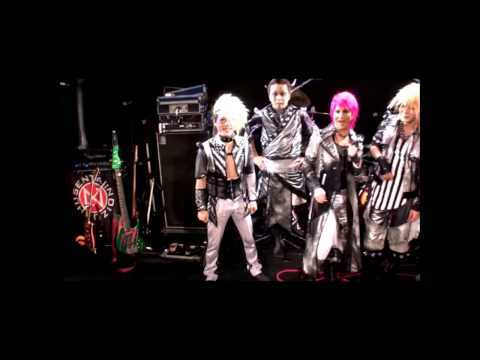 UCHUSENTAI :NOIZ is a visual rock band from Japan. Officially created in 1996 by vocalist Angel-Taka and former drummer S@TT-ON. 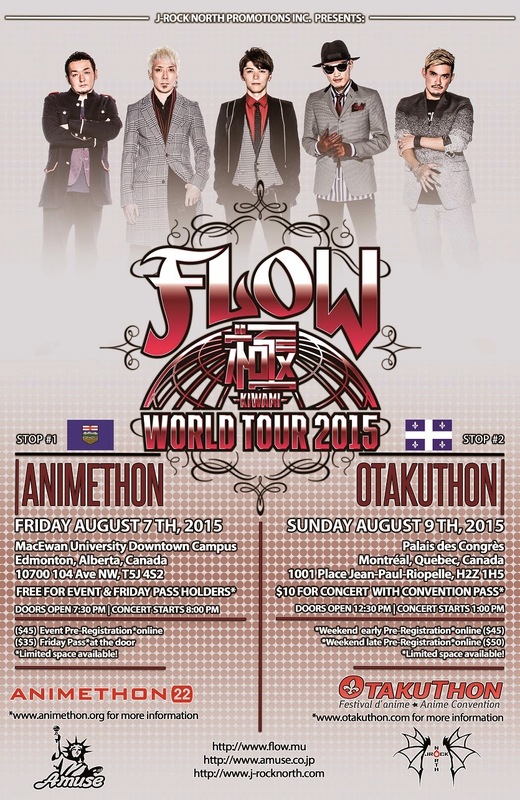 They are best known for their energetic music, extravagant outfits, passionate live shows and on-stage antics. Their music is very eclectic and has many different elements from genres such as punk, pop, metal, hip-hop and electronic music in their sound and thus cannot be properly labeled. Some songs tend to not mix all these sounds together and focus on one or two, while other song combine all these elements. There are two singers; Angel-Taka as the lead and Masato, who tends to sing in a more harsh/brutal metal way and with hip-hop/rap style vocals. They have an extensive background in terms of live performances in Japan, and a growing interest in interna-tional shows since their debut abroad in Paris in 2006. As far as North America goes, they played back and forth in LA and Raleigh, North Carolina, as well as a date in Canada in early 2013. 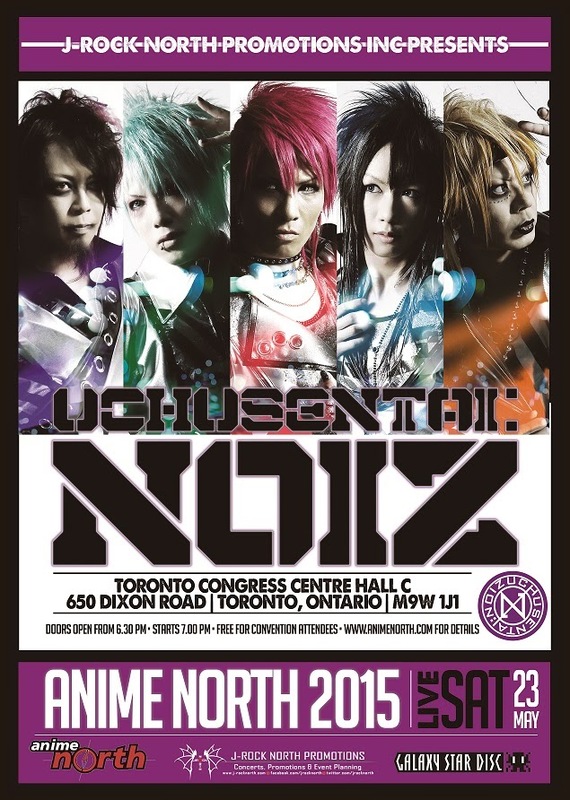 UchuSentai:NOIZ are appearing at Anime North in association with GalaxyStar Disc and J-rock North Promotions Inc.
J-rock North Promotions Inc. Presents: UchuSentai: NOIZ At Otafest 2015! !